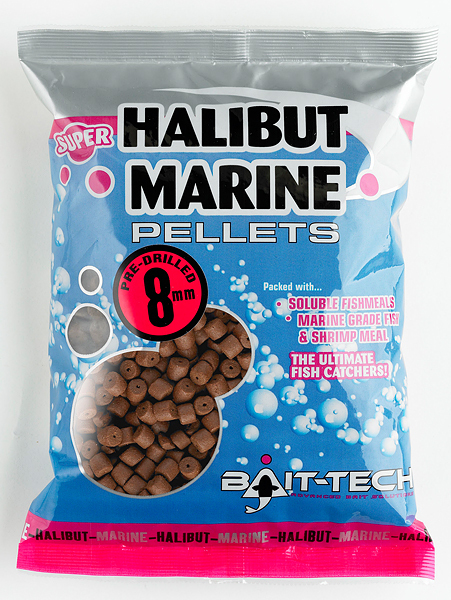 Super Halibut Marine Pellets are just as the name suggests! Even higher protein levels and packed with the super attractive shrimp meal (gives them the red colour) these pellets have the Super pulling power making them distinctly different from the majority of other pellets on the market. Slow breakdown rates means the high attraction and flavour filled oils used are released slowly into your swim as the pellets breakdown. This really is pellet perfection! Packed full of fish oils and water soluble fish attractors these pellets are versatile, super attractive and already responsible for countless big fish captures across the UK and Europe. Available in 4mm & 6mm and also available pre-drilled in 8mm, 12mm, 16mm and 20mm.